About 30,000 runners hit the streets under warm and sunny skies in the 121st Boston Marathon. Explore the 26.2 mile route from Hopkinton to Boston. Despite undergoing triple bypass surgery in October, race director Dave McGillivray completed the Boston Marathon for the 47th straight year. Participants in the 123rd Boston Marathon received a wet greeting similar to last year’s treacherous conditions, with early morning thunderstorms. Revisit the 123rd running of the world’s most famous marathon through the lenses of our videographers. Cedric King had finished Boston using a wheelchair and prosthetics, but this was a whole new ballgame. The 1979 Boston champion finished in a little over three hours, bettering her expectations. A drizzly, overcast Patriots Day didn’t keep spectators away from the Boston Marathon route, as many flocked to the roadside to cheer on this year’s athletes. The flag was on the ground as men’s wheelchair winner Daniel Romanchuk posed for photos. From the start in Hopkinton to the finish in Boston, the men’s elite race was a tightly contested affair. The Ethiopian runner outdistanced the field for her second career win in a marathon. For those searching for a bit of encouragement during an overcast Boston Marathon, look no further than Spencer. He’s a good boy. Romanchuk, 20, became the race’s youngest wheelchair champ; Schar won her second title in three years. Here’s the latest on the race, the weather, and the day from the Globe staff. The 2019 Boston Marathon is under way. Watch live video from the race here. Trying to track a friend or loved one’s progress can be trying to find a needle in a haystack. Marathon day is finally here, and there are plenty of ways to watch the race, even if you can’t be there in person. Follow mile-by-mile updates of the leaders in real-time on this live map. A former Norwood student who was paralyzed from the neck down when he broke his neck in 2010 completed the Boston Marathon route Sunday with a Boston firefighter. 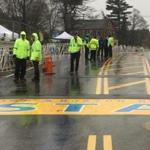 For the second straight year, conditions on Patriots Day in Boston call for windy and wet conditions. The former Patriot linebacker formed Tedy’s Team 14 years ago after suffering a stroke at age 31. On Monday he’ll run the race for the third and final time. These two sisters have emerged from a two-decade tour through post-traumatic stress disorder relying on three primary pillars: each other, their families, and running. Many serious runners spend a lifetime trying to “BQ” — to qualify for the Boston Marathon. The moment when they finally pick up their race bibs can release a flood of emotions. Kawauchi, the first men’s champion from Japan since 1987, proved best at enduring the poor weather conditions to win in 2018. Gebrhiwet finished in 13 minutes, 42 seconds, the exact same time that won him the 2018 title. The former Patriots linebacker suffered a mild stroke in 2005. He recovered to play again, and since then Bruschi and his wife formed Tedy’s Team, which has 49 runners in the Marathon this year. Though elite women have had a separate start since 2004, this year’s Boston will be the first in which the top men begin two minutes before the rest of the field. 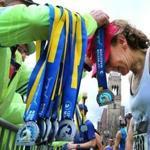 For elite Boston Marathoners, there’s more at stake than just the glory of the race. The Newton Firehouse Turn is the race’s key decision point, where boldness can be both rewarded and punished. The Japanese marvel averages a marathon a month and insists that he literally takes no days off. Wave 4 will begin earlier, but race director Dave McGillivray said cancellation was never an option. The crowds at the Boston Marathon are one of the many things that make it the most famous footrace in the world. 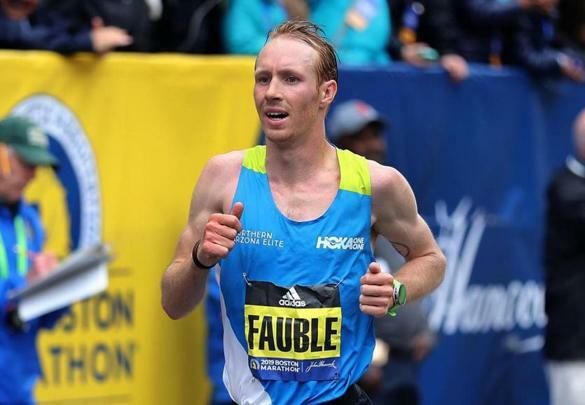 Globe reporter and marathoner Billy Baker has some tips on how you can have the most impact on the course. Take a look at the best images from Globe photographers, from Hopkinton to Boston. Lelisa Desisa and Caroline Rotich were crowned as champions of the 119th running of the Boston Marathon. Meb Keflezighi became the first US man to win in 31 years as the race marked one year since the 2013 bombings.